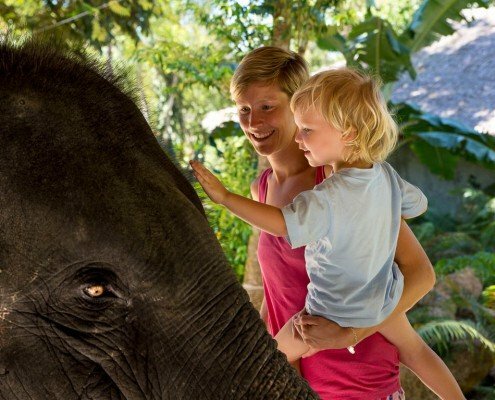 Visit Phang Nga Elephant Park to experience an incredible day while interacting and building a relationship with your elephant. We offer two different programs, the Half Day Elephant Care Program and the Family Elephant Experience. For each, we provide an experienced English-speaking guide who will accompany you around the Park. 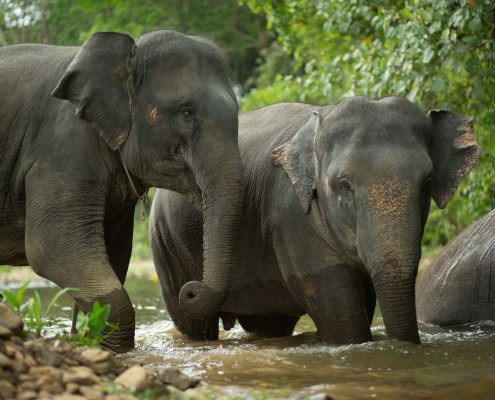 The guide will tell you about the history of our elephants and the role of the Asian elephant in Thai culture. We will explain the Park’s mission and why we believe there is a vital need for ethical elephant-human interaction. With both programs, you will be paired up with an elephant for the whole experience, allowing you to form a bond with your elephant and gain a great insight into her life and behaviour. Our programs include air-conditioned transfers from and to your hotel and a freshly cooked, traditional Thai lunch. Complimentary refreshments are provided throughout your visit. To learn more about each program and to book, please click on the links below.